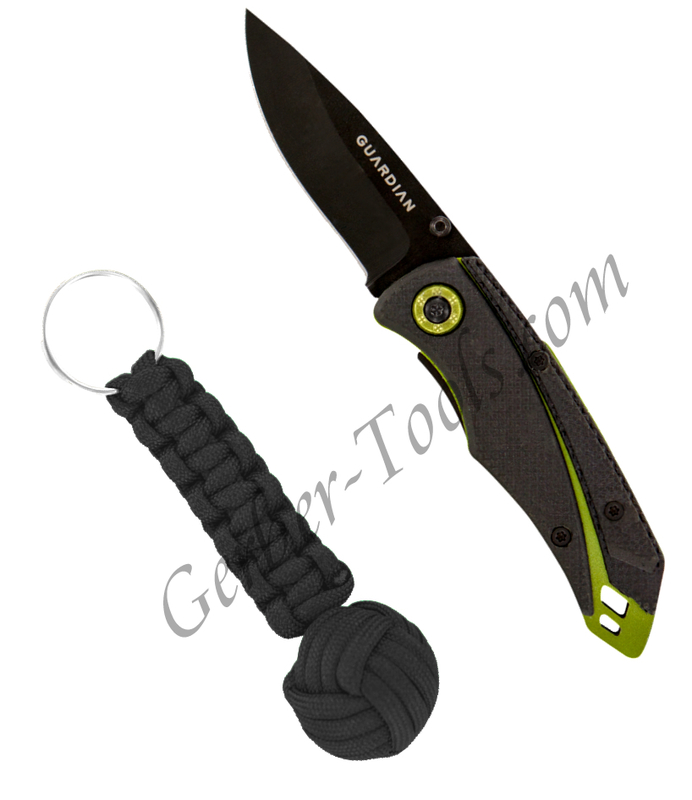 This Gerber Guardian knife set features the K3 2.5 inch Clip Knife with a stainless steel fine edge blade, black tactical-styled scales on the handle with green metal accents, lanyard slot,s and traditional liner lock closure. 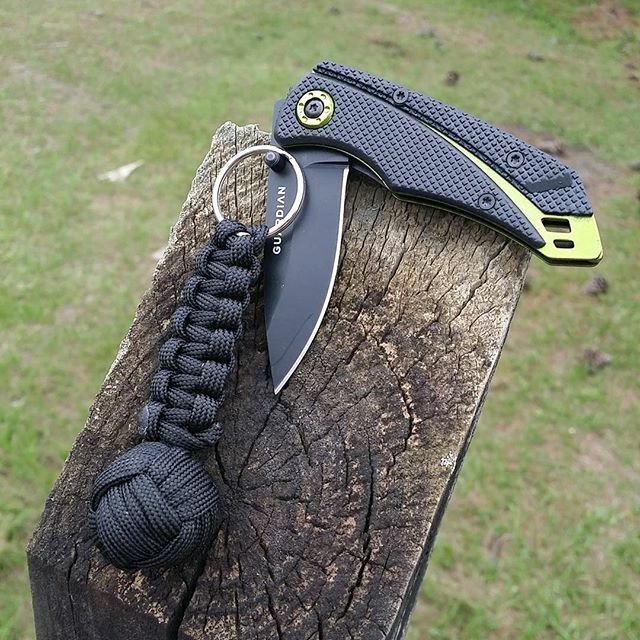 The set also comes with a cool tactical key chain, a 3.5 inch long monkey fist woven out of black paracord with keychain clip on the end. When the smoke settles, the lines become clear. Between what is good and what is not, Guard the Good.